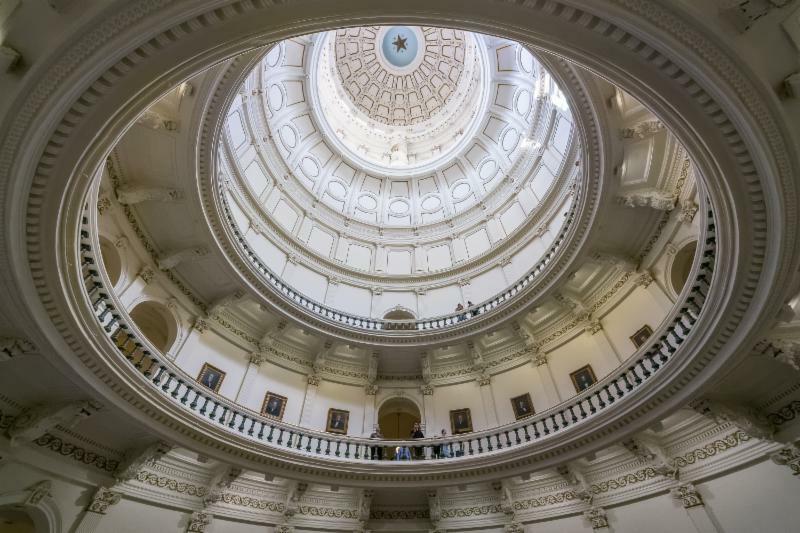 With little fanfare, the Public Utility Commission of Texas on October 12 approved a new rule implementing Senate Bill 586 approved by the Texas Legislature in 2017 reforming the Texas universal fund. The PUC approved the rule in Project No. 47669 with no substantive changes. The PUC’s final order and the newly adopted rule can be found here . The historic decision represents an important evolution in the Texas universal service fund program for smaller telecommunications companies. Significant reform has been a long time coming and has required a lot of cooperation and hard work. Now our attention must turn to the next step – implementation. The Texas Telephone Association and the Texas Statewide Telephone Cooperative Inc. continue to work together along with the small telecommunications companies’ consulting and accounting firms to develop standardized election letters, reporting forms and filing packages for the small member companies. The Texas Universal Service Fund Task Force made up of representatives for the smaller telecommunications companies gathered in Austin on October 8 to finalize a draft of a SB 586 report filing package and discussed standardizing the types of supporting documentation to be filed with the Texas PUC. We are working to schedule a meeting in December with the PUC staff to review the package and receive feedback before finalizing any filing package template. By standardizing a filing package and creating a template, we intend to reduce, and possibly avoid, costly and time-consuming formal discovery. That said, the SB 586 mechanism is new to everyone and TTA anticipates the filing package will evolve over time. Now that the rule has been adopted, an implementation clock starts and companies have until December 11 to opt in to the SB 586 universal service fund mechanism or fall back to per-line support from Docket No. 18516. Once a company files a letter with the PUC to opt in to the new mechanism, a 60-day clock will start to submit its first SB 586 earnings monitoring report. TTA and TSTCI are developing a standardized SB 586 opt-in letter. Those companies that might have a high rate of return should work with their legal and consulting team to consider whether falling back to Docket No. 18516 per-line support is a better option. Before the PUC approved the new rule, TTA’s legal team discovered the proposed rule lacked specific language clarifying that the new SB 586 reports would replace the traditional earnings monitoring for companies opting into the new mechanism. Consequently, TTA is encouraging members to await our release of a sample opt-in letter that will specify the electing member plans to file SB 586 reports in lieu of the traditional earnings monitoring reports. PUC staff indicated they appreciated this approach. If you have any questions or concerns related to SB 586, please contact me. 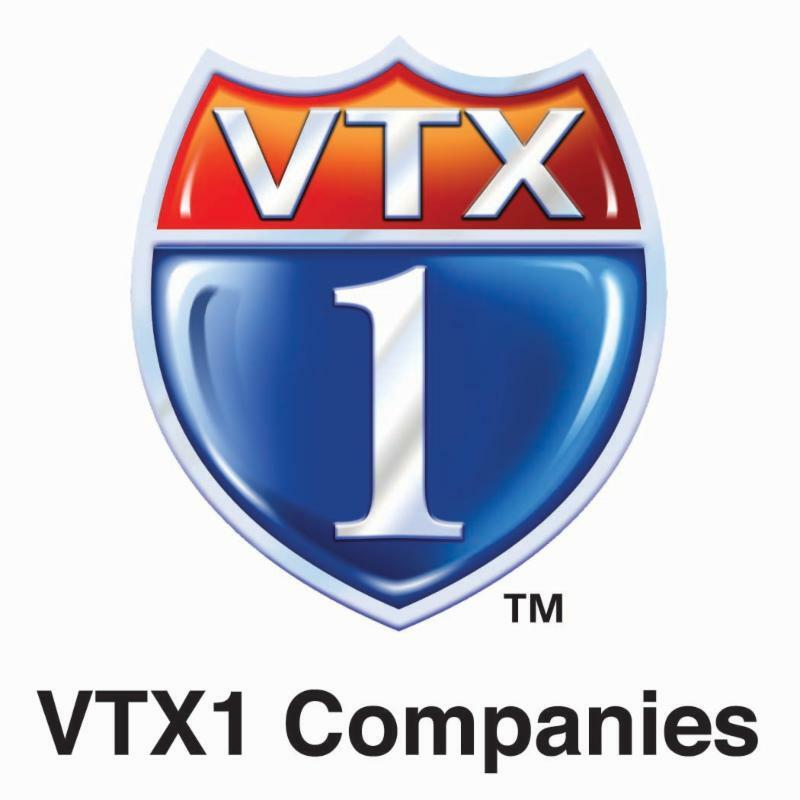 The Texas Telephone Association and the Texas Statewide Telephone Cooperative Inc. continue to work together toward a reasonable outcome in Virgin Mobile’s pending application for designation as an Eligible Telecommunications Carrier (ETC) and an Eligible Telecommunications Provider (ETP) for lifeline-only in Docket No. 48502 . After TTA’s legal team objected to Virgin Mobile’s discovery requests, Virgin Mobile withdrew most of its questions. However, the state administrative law judges recently ordered the small companies to respond to three of Virgin Mobile’s discovery requests related to rates and mandatory fees and charges. To the extent TTA needs members to provide company-specific requests for information responses, we will send a draft response template for members. We also have been working with Virgin Mobile towards a possible settlement. We recently proposed that the small companies would withdraw objections to Virgin Mobile’s application if Virgin Mobile would withdraw its request for ETP designation in participating member service areas and limit its request for ETC designation in member service areas to only those portions of the service area where it is licensed to serve and currently has wireless coverage. Based on TTA’s evaluation of Virgin Mobile’s application and its responses to discovery requests, this is a reasonable settlement offer and we are hopeful Virgin Mobile agrees. CenturyLink continues to participate in the proceeding as an intervenor along with the PUC staff. The November before every legislative session is remembered for its elections. And it is little wonder since it’s the general election that determines the membership of the entire Texas House of Representatives and half of the Texas Senate. But another November date doesn’t get as much attention but is still vitally important. It is the start of pre-filing of bills for the upcoming legislative session. According to House and Senate rules, on the first Monday after the general election, sitting legislators are allowed to begin introducing bills for consideration by the Legislature – or “pre-filing” a bill. Pre-filing continues until the legislature begins its legislative session in January. Any bill introduced after the session has started is no longer considered to have been pre-filed. In advance of the 2017 legislative session, pre-filing began on November 14, 2016, with 483 bills pre-filed that day. This means that more than 7 percent of the 6,568 bills filed in the 2017 session were filed on one day — the opening day of pre-filing. However, bills that are pre-filed do not necessarily reflect the highest priorities of the Legislature as a whole. Case in point: the state budget. The state budget is the one piece of legislation the Legislature is constitutionally mandated to approve. Yet the budget bill is typically y not filed until well into January of a regular legislative session. In addition, being the first to pre-file a bill does not guarantee that the bill will receive a particularly low bill number since the leadership in each chamber typically reserves the first 25 to 50 or so bill numbers for issues they deem to be a priority. For example, HB 1 and SB 1 are usually reserved for the budget. The pre-filing of bills has therefore largely tended to show the priorities of individual legislators or to reflect the priorities of the major parties. For example, in the 2017 session House Bill 52 by Rep. Will Metcalf, R-Conroe, dealt with authorizing local law enforcement officers to enforce federal immigration laws, an issue important to many in the Republican base. In that same session, Senate Bill 35 by Sen. Judith Zaffirini, D-Laredo, dealt with full-day pre-kindergarten for Texas children, an issue important to many in the Democratic base. Lt. Gov. Dan Patrick only reserved Senate bills 1-30 for his priorities last session. All that being said, the beginning of pre-filing is not without its lighter side. Sen. Zaffirini and Sen. Jane Nelson, R-Flower Mound, have undertaken a friendly rivalry to see which office can be the first to pre-file a bill for each of the last several sessions. The rivalry has become very much a point of pride. Each office sends staff loaded with the appropriate paperwork to stand in front of the Secretary of the Senate’s office long before it opens on the day pre-filing begins. In fact, in 2016 Sen. Zaffirini was so intent on being the first to file a bill in the Senate she ordered her staff to take shifts in line outside the Secretary of the Senate’s office two full days before pre-filing began. When the office opened on November 14, 2016, her staff then pre-filed the Senator’s entire legislative agenda — 41 bills. This year pre-filing begins on Monday November 12. We’ll be watching to see what items of interest to the Texas Telephone Association get filed. And if you want to place a wager on Sen. Zaffirini being the first to file, drop us a line. Gov. Greg Abbott and EducationSuperHighway on Oct. 2 announced a milestone in the effort to improve access high-speed Internet in Texas schools. Some 97 percent of Texas school districts now have high speed connectivity to support digital learning opportunities, compared to 67 percent in 2015, according to the annual “ State of the States” report from the nonprofit EducationSuperHighway. Abbott in 2016 launched an initiative with EducationSuperHighway , the Texas Education Agency and the Education Service Centers to provide access to affordable, high-speed broadband and Wi-Fi for all K–12 public schools in Texas. As part of the initiative, the state of Texas allocated $25 million to support school districts with upgrading to scalable fiber infrastructure. The $25 million in state funding will be matched dollar-for-dollar in federal funding – on top of the federal funding districts receive through the Federal Communication Commission’s E-rate program – resulting in a $250 million broadband investment across Texas. The Texas Telephone Association is continuing to work with state and local leaders on broadband initiatives to make sure the telecommunications industry remains a strong voice in the process. Texas-based Nextlink was the biggest winner in the Connect America Fund Phase II auction over the summer, receiving $281.4 million to deploy broadband services to an additional 100,000 locations in rural areas of Iowa, Illinois, Kansas, Nebraska, Oklahoma, and Texas. Nextlink bid as AMG Technology Group in the auction . Nextlink plans to build new towers to offer its fixed wireless broadband services to end users, but also plans to lease tower space and provide backhaul to cellular service providers in order to improve mobile service coverage, according to an article in Telecompetitor . The FCC indicated the map will be updated as new information is reported. The Texas Telephone Association and the Texas Statewide Telephone Cooperative Inc.
on September 25 met with Texas PUC staff on the Public Utility Regulatory Act (PURA). The meeting was attended by PUC staff members who will be overseeing regulation of the telecommunications industry going forward with the departure of Pam Whittington. During the meeting, TTA’s regulatory chair provided an overview of the various small company federal universal service fund mechanisms and provided a brief history of federal universal service fund reforms since 2011. Texas Legislature has adopted provisions in under PURA 56.025(c) that reimburses eligible small incumbent local exchange companies for losses related to the federal universal service fund because of regulatory reforms. This provision has commonly been referred to as “56.025 support” and many small companies have used the mechanism to replace losses in federal universal service fund support since 2012. Because of recent federal changes, the prior version of the 56.025 model required significant updates and upgrades to account for federal losses as well as recent operating expense and investment limitations. Sharon Minor of Moss Adams and Gary Smith of JSI discussed the specific model revisions including a new summary impact presentation that identifies High Cost Loop Support (HCLS) so member companies will be able to easily identify HCLS in earnings reports. Under the new rule implementing SB 586, only the portion of 56.025 support related to HCLS will impact intrastate earnings and the remainder of the support will continue to be an interstate revenue. Commission staff was very engaged in the discussion. TTA anticipates some member companies will soon be using the model to present projected impacts under PURA 56.025. TTA is encouraged to see the recent level of cooperation between the associations and the various industry representatives. (Opinion-Editorial by Rep. John P. Cyrier, R-Lockhart) Next January will inaugurate the 86th session of the Texas Legislature. Every two years, the elected state representatives and senators of the people of Texas meet together to write and pass legislation. In connection with our local officials and community leaders, preparation for this upcoming legislative session is already underway. As it approaches, I look forward to sharing with you the issues we are preparing to tackle to address the needs and concerns of our district. One issue that is high on our priority list is improving access to broadband internet throughout rural areas in Texas. Read more. AUSTIN — Lacking a good source of high-speed internet, Bridgeport kids have resorted to hanging out at fast-food restaurants to get online and do homework. That could change soon, thanks to a new cable that’s coming to town under a public-private partnership between the small Wise County city and a private company. Read more. (Guest blog post by Jonathan Spalter, CEO of USTelecom) It seems everywhere I turn there are stories about fifth generation (5G) wireless: Will the U.S. win the global race to 5G? Will 5G close the digital divide? Will 5G replace my home broadband? The federal government has joined in asking these questions—with the FCC and the White House holding public discussions this week on how to support 5G development in the near future. But what is it, exactly? Read more. Senate Commerce Committee chair Sen. John Thune (R-S.D.) hammered the FCC Thursday (Oct. 4) for not investing enough in subsidizing and deploying broadband to rural areas like his home state, calling it an "unacceptable failure" and adding that he has urged FCC chair Ajit Pai to act immediately to correct the situation. Read more. Four telecom groups have come together to urge the FCC to increase the Universal Service Fund budget to at least $2.4 billion for 2018 for the high-cost portion of the program. The request took the form of a letter from ITTA – The Voice of America’s Broadband Providers, USTelecom – The Broadband Association, NTCA – The Rural Broadband Association and WTA – Advocates for Rural Broadband. Read more. NTCA – The Rural Broadband Association is asking the FCC to allow stakeholders and outside experts to review CAF II buildout plans for entities that won funding in the recent CAF II auction to bring broadband to unserved areas. In a blog post, NTCA Chief Executive Shirley Bloomfield expressed concern that some parties that won funding in the auction may not be able to deliver on their buildout plans, causing some target communities to remain unserved. She also expressed concern that, although winners were required to submit buildout plans, the FCC may not be able to thoroughly review those plans. Read more. Attorneys general in three states -- Texas, Nebraska and Arkansas -- are supporting the Federal Communications Commission's decision to roll back the Obama-era net neutrality rules. Read more.